2015 was a pretty decent year for me overall. 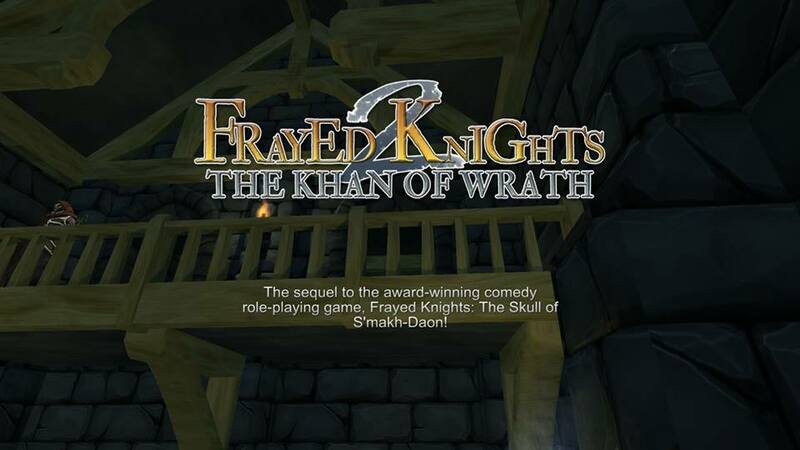 The demo version of Frayed Knights 2: The Khan of Wrath had a pretty successful showing at some conventions. At least as successful as slower-paced, deep RPG can have at a show where people have tiny attention spans as they pass by the booths. Two of my short stories saw publication in anthologies, and I just received notification that another is a finalist in another contest. Just as important, I feel my writing chops have grown significantly over the last two years. Hopefully, if you haven’t read my stories yet, you’ll be able to see the difference in the next game. Which brings us to 2016. There’s really only one big goal that you’d be interested in: Frayed Knights 2: The Khan of Wrath needs to be completed and shipped. At this point, the job is about 80% content, and there’s a lot left to do. The light at the end of the tunnel feels like only a pinprick of a glow, but at least now it’s visible. But assuming the day job doesn’t get TOO psycho, and the art guys have some time to devote to the game, there’s no reason it can’t happen. On the writing front, I suspect the bulk of my writing will be for FK2 for at least the first half of the year. The last game was somewhere on the order of 30k words of text, and the new one looks like it will be at least as much. Frayed Knights: The Skull of S’makh-Daon on Steam – Holiday Sale! And yay, it looks like you’re keeping the 2.